a minority owned, women owned business. 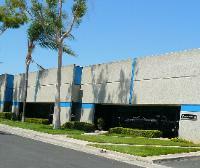 We operate our own warehouse with kit assembly facility and will-call center in the Painter Business Park in Whittier, CA. See our Survival Kit Factory and assembly process here. When you work with us, you are working with the source that receives the individual survival items that go into a properly made Emergency and Disaster Kit. We source, test and select all of the products that go into any of our 72 hour kits. Only items that meet our quality and safety requirements make it into one of our 72 hour Emergency and Disaster Survival Kits. Your Survival Kit is assembled when ordered. Please select the kit you like from our website, then use our online shopping cart and select 'pickup' as the shipping option, or call us to place your order over the phone. We offer convenient daytime, evening and even weekend hours for you to stop by and pick up your order at our warehouse. To be able to dedicate time to you, all pickups are by appointment only. Add the items you wish to order into your shopping cart, then click the CHECKOUT button. Enter the Zip Code of your shipping address and select your preferred method of shipping. Click the APPLY button and the cost of shipping will be displayed. Our online shopping cart checkout supports shipments through UPS and up to 150lbs. If the total shipping weight exceeds 150lbs it might be more economical to ship with an alternate carrier and the shopping cart will indicate that. You can complete the order without paying for the shipping charges at that point and we will contact you with the actual and adjusted shipping cost which can then be processed and paid for in a separate transaction. We can also provide you with a shipping cost estimate before you complete your order by contacting us at 1-877-278-0276 (9am to 5pm PST) or by sending us an email. International Shipping is currently not available. We ship to destinations within the USA only.